Even though we had to fly back to the freezing cold from sunny Florida (just in time to still get away with not having to pay for Cam's airfare! ), yesterday was so much fun celebrating Camden turning TWO! 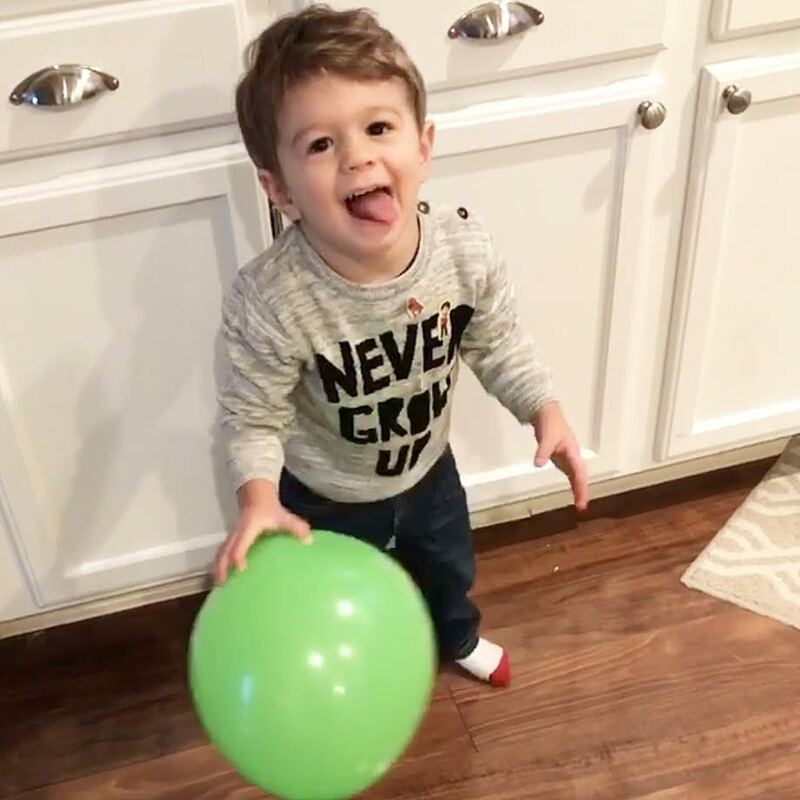 We continued on with the tradition of putting balloons in his room to see when he woke up and he, not surprisingly, loved every single second of it. He was so excited when we picked them up from the floor and put them all in his crib with him - it was the cutest thing and even better than last year, which I thought would be hard to top. 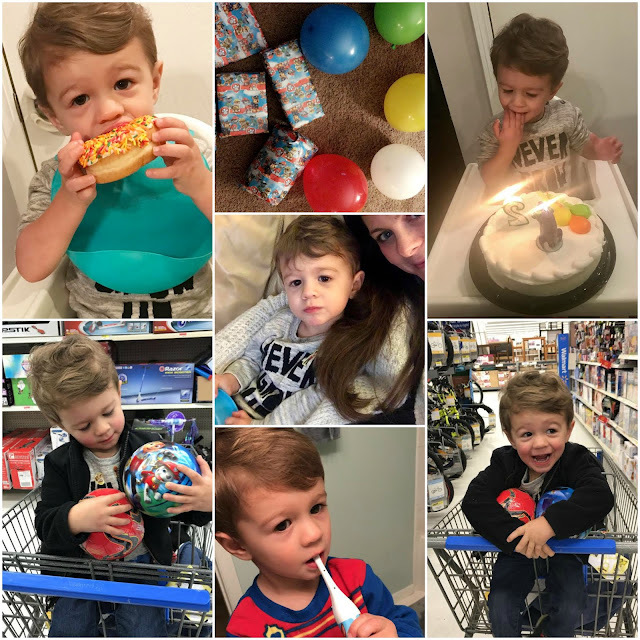 After a birthday donut and a pretty big sugar rush, he went to school (where they had an adorable birthday sign with balloons on the door for him) for the morning but I picked him up with Grayson at 2 and took him to the store to pick out a new toy. He picked out a soccer ball (which made this soccer mama SO happy) and a new Paw Patrol ball. I mean it when I say Cam is super athletic + coordinated - everyone is always commenting about it. I just know he is going to LOVE playing sports. He was running around the house so happy + being silly all day, which is exactly how birthdays should be! His actual birthday party is this Saturday, so it's nice that we will get to celebrate with family and friends then. I can't wait to share all the details from his party, too! OK, let's chat Florida for a minute - can I just say that I'm a much happier person being around palm trees, sunny skies, and the beach? It's like my mood instantly changed getting off the plane there. I really need to talk Billy into moving there (even with the hot summers) because it's just SO nice to not have to be stuck inside for 3-4 months per year due to the cold. Not to mention, much more convenient because you don't have to put a 1,000 layers on your kids before leaving. I plan to have a post up tomorrow sharing pictures + more about traveling with two kids, so stay tuned! Aww that sounds like a perfect birthday for a little boy! And I am SO with you on the moving to Florida thing. It's rough living somewhere you don't want to go outside for a huge chunk of the year. So dang cold! 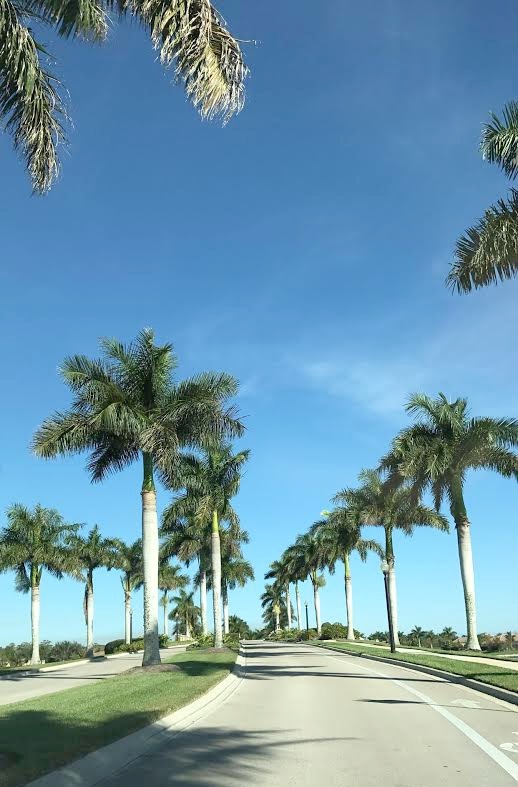 I live in South Florida and even though the summers are very hot and humid, I'll take it any day over the cold. I always wonder how other moms up north go out with kids in the winter!